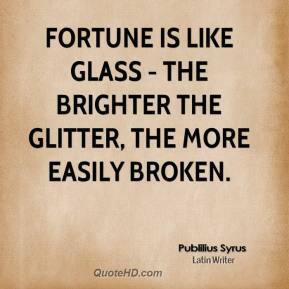 Fortune is like glass - the brighter the glitter, the more easily broken. Sometimes when I reflect back on all the beer I drink I feel ashamed. 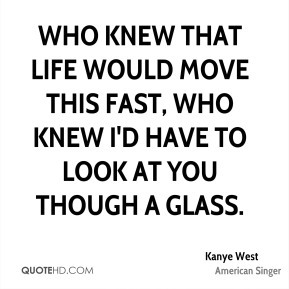 Then I look into the glass and think about the workers in the brewery and all of their hopes & dreams. If I didn't drink this beer, they might be out of work and their dreams would be shattered. 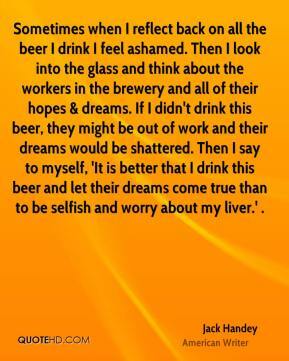 Then I say to myself, 'It is better that I drink this beer and let their dreams come true than to be selfish and worry about my liver.' . 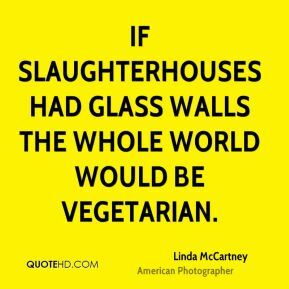 If slaughterhouses had glass walls the whole world would be vegetarian. 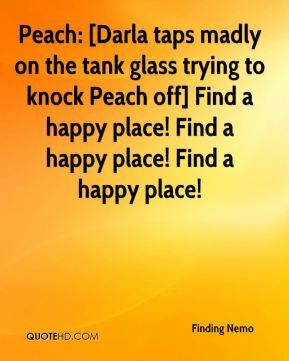 Peach: [Darla taps madly on the tank glass trying to knock Peach off] Find a happy place! Find a happy place! Find a happy place! 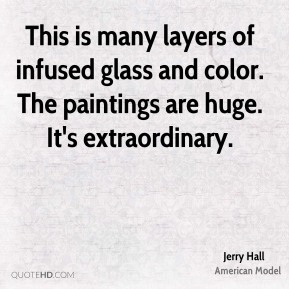 This is many layers of infused glass and color. The paintings are huge. It's extraordinary. For teams like TCU, there tends to be this glass ceiling [in the polls]. Teams from behind them can jump them. 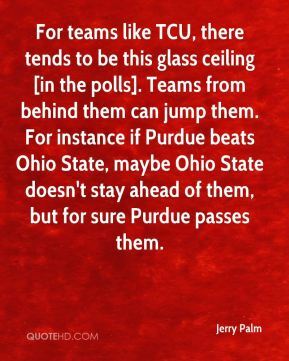 For instance if Purdue beats Ohio State, maybe Ohio State doesn't stay ahead of them, but for sure Purdue passes them. We got beat up a little bit on the glass because we got spread out a little. 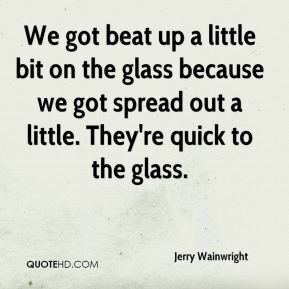 They're quick to the glass. 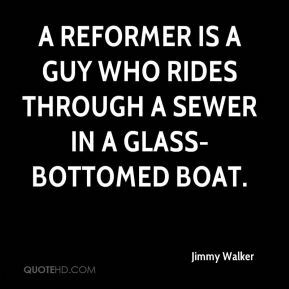 A reformer is a guy who rides through a sewer in a glass-bottomed boat. So he did this weaving for his mother and he put stained glass in it, flat glass and loved the way the light played with it. 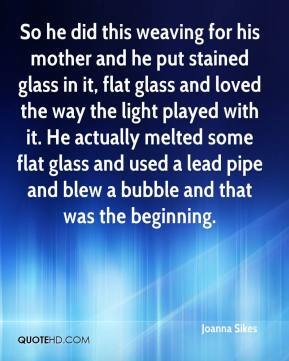 He actually melted some flat glass and used a lead pipe and blew a bubble and that was the beginning. 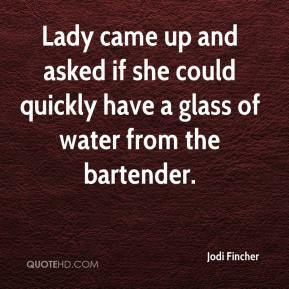 Lady came up and asked if she could quickly have a glass of water from the bartender. 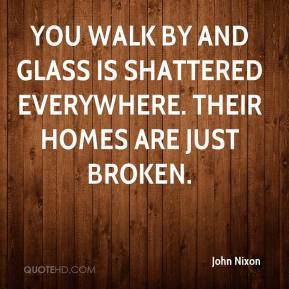 You walk by and glass is shattered everywhere. Their homes are just broken. 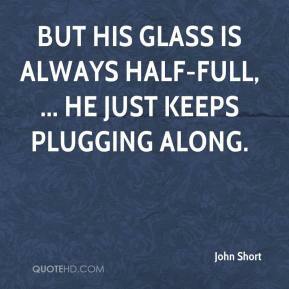 But his glass is always half-full, ... He just keeps plugging along. We have a tradition of wetting the bairn's head, which means when you're drinking probably a glass of champagne you dip your finger in the champagne and touch the baby's head. Spectators came from far away. 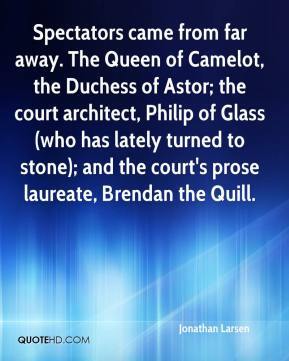 The Queen of Camelot, the Duchess of Astor; the court architect, Philip of Glass (who has lately turned to stone); and the court's prose laureate, Brendan the Quill. I just kind of chucked it over the glass, stupidly, not thinking. 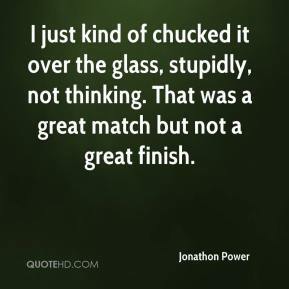 That was a great match but not a great finish. 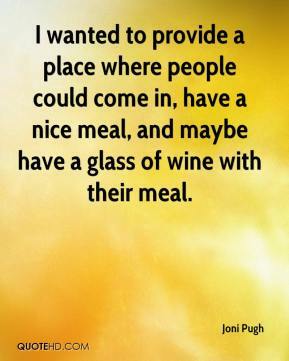 I wanted to provide a place where people could come in, have a nice meal, and maybe have a glass of wine with their meal. 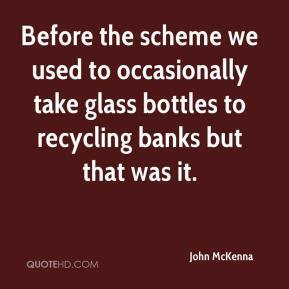 Before the scheme we used to occasionally take glass bottles to recycling banks but that was it. The glass tiled windows were going to be in lead-light but I decided to do them in glass tiles - something a bit different. Something a bit more unusual. 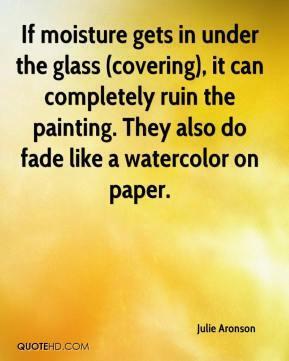 If moisture gets in under the glass (covering), it can completely ruin the painting. They also do fade like a watercolor on paper. 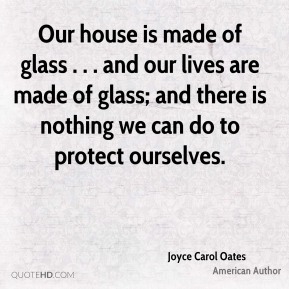 Our house is made of glass . 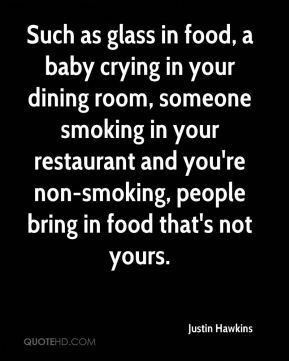 . . and our lives are made of glass; and there is nothing we can do to protect ourselves. 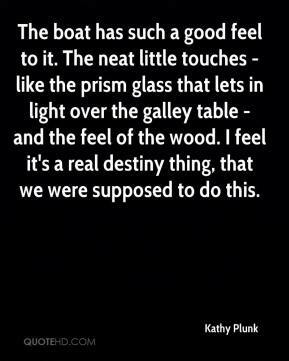 The boat has such a good feel to it. The neat little touches - like the prism glass that lets in light over the galley table - and the feel of the wood. I feel it's a real destiny thing, that we were supposed to do this. 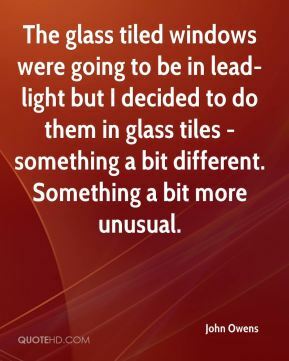 I don't think it was a glass ceiling. 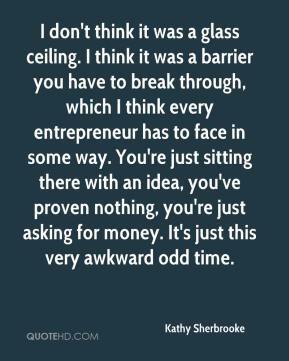 I think it was a barrier you have to break through, which I think every entrepreneur has to face in some way. You're just sitting there with an idea, you've proven nothing, you're just asking for money. It's just this very awkward odd time. Who knew that life would move this fast, who knew i'd have to look at you though a glass. 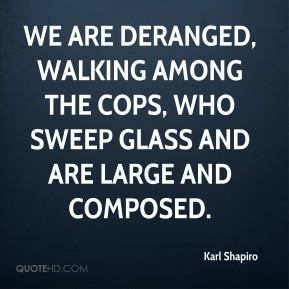 We are deranged, walking among the cops, Who sweep glass and are large and composed.